Custom fiber optic Starlight fixtures by JBRND provide a breathtaking aesthetic improvement to any room on an aircraft. These beautiful fixtures are not intended to provide general cabin illumination, but the JBRND Starlight gives the impression of a crystal clear sky full of stars above. 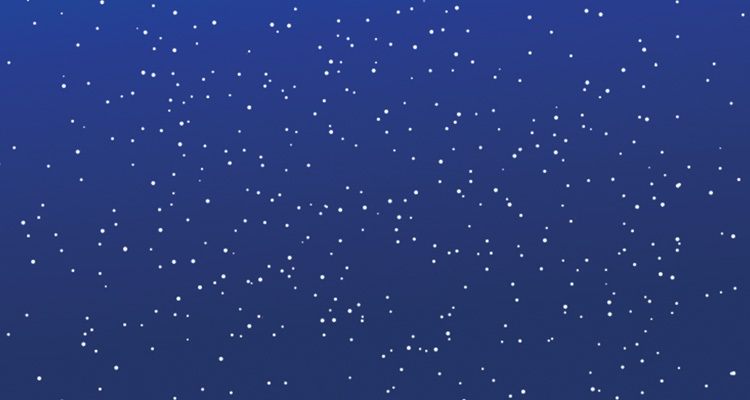 The star field can even be populated with stars of varying size. A long life LED lamp module is used to light the fiber optic strands which provides for low heat generation and low current draw. 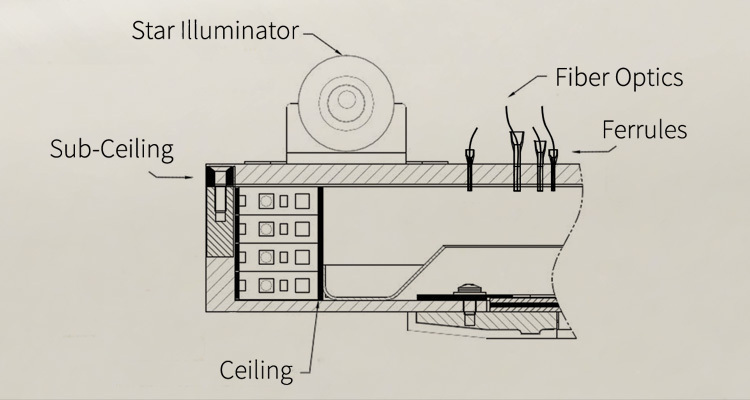 The Starlight assembly consists of a lightweight composite for the housing LED strips, a frosted Lexan diffusing lens, multiple LED lamp modules (dependent on amount of stars) and decorative metal frames. The amount of LED modules (Illuminators) is dependent on the desired design of the star field. The star field can be populated with different sized stars. The size of the stars limits the amount of fibers per illuminator. The background can be upholstered or painted to the desired finish. The Starlight fixture can be configured to have multiple modes, toggled by a double pole switch (i.e.“DAY”/OFF/“NIGHT” function). The LED Illuminator for the stars is a 5W cool white LED (7000k). 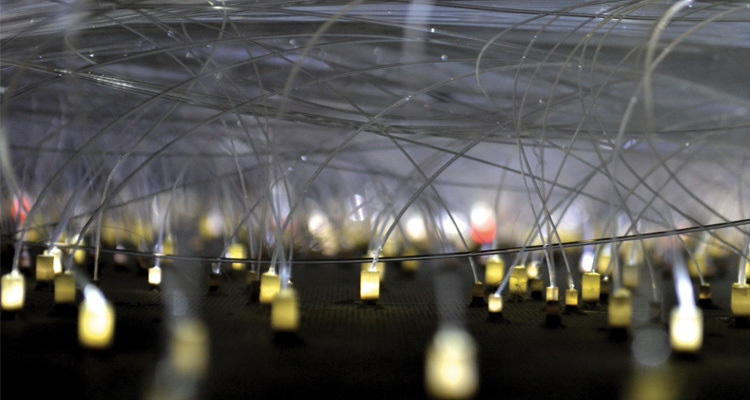 The fiber optics carries this cool white light through a panel (upholstered or painted to desired finish). Optional rows of LED strips can be mounted to the inside walls of the fixture to provide a wash of color inwards. Color and intensity of these accents are at the customer’s discretion. Starlight fixtures are intended to be an aesthetic improvement to the room they are located. These fixtures are not intended to provide general cabin illumination. 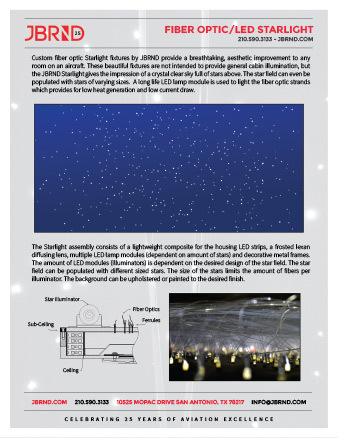 Get the JBRND brochure for our Starlight. The brochure is one page, in PDF format, ready for printing. If you are interested in any other JBRND brochures, make sure to visit our Downloads Section, where there are many others available. As always, just get in touch if you have questions. JBRND's Fiber Optic Starlights are available for all aircraft. We look forward to discussing your project. Get in touch with us today to get more information by clicking the button below.